Hey y’all! Serene from House of Yumm back with you again. 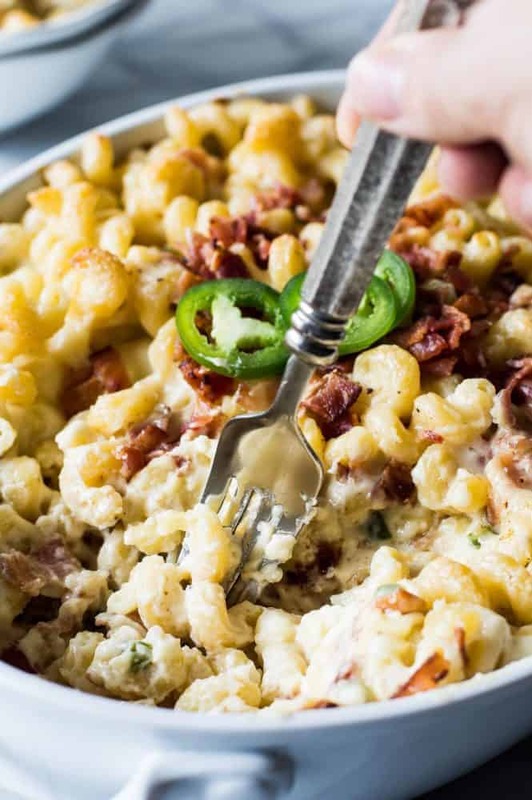 And today I’m here to share this creamy, cheesy, slightly spicy Jalapeño Popper Macaroni and Cheese! Anyone else have a fondness for jalapeño poppers?? Jalapeños stuffed with cream cheese and wrapped in bacon. One of my favorite snacks. 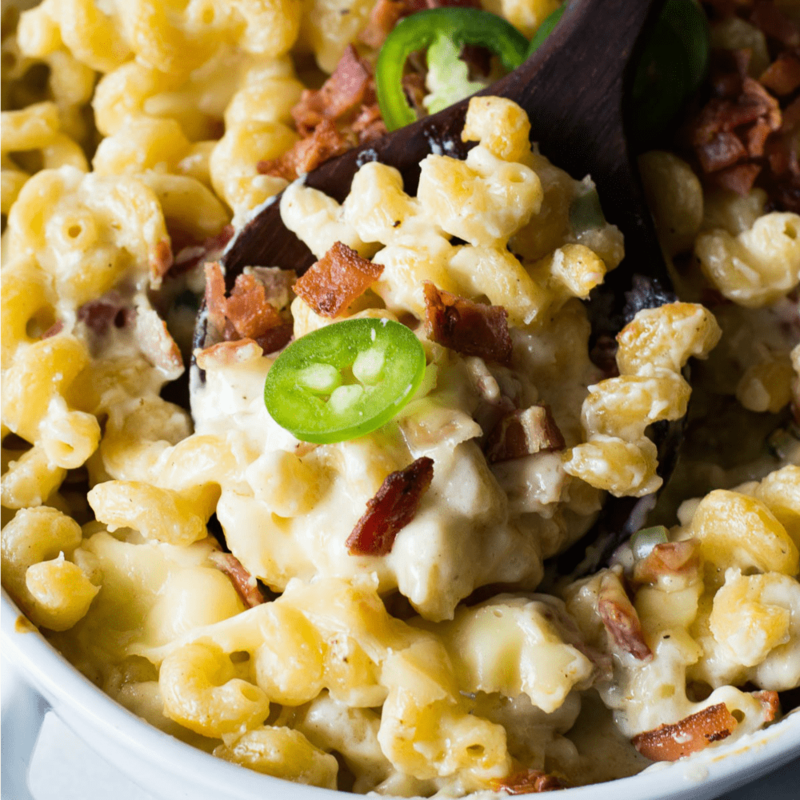 Mix the flavors of jalapeño, cream cheese, and bacon with macaroni and cheese and we have a winner!! 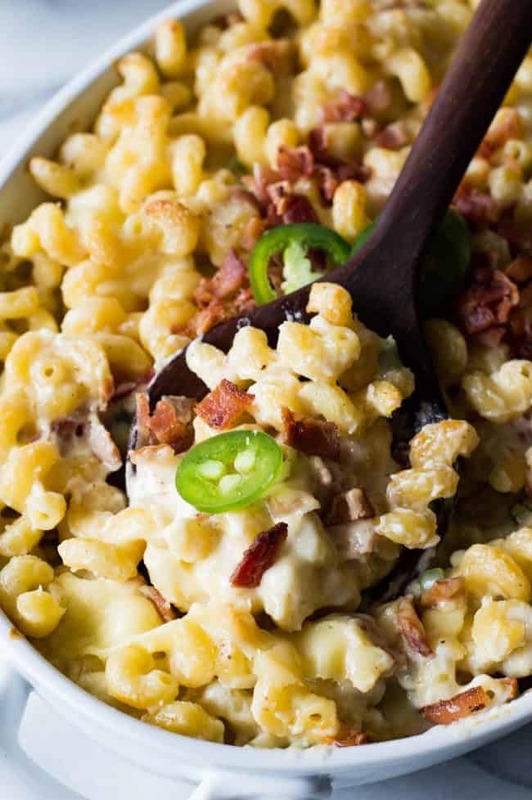 Macaroni and cheese is a comfort food for me. So I made this dish EXTRA cheesy. It’s a homemade sauce that can come together super quick and easy. Loaded up with cream cheese to make it smooth and creamy. And white American cheese to make it ultra cheesy. I made a batch with a sharp white cheddar and it just wasn’t the same. 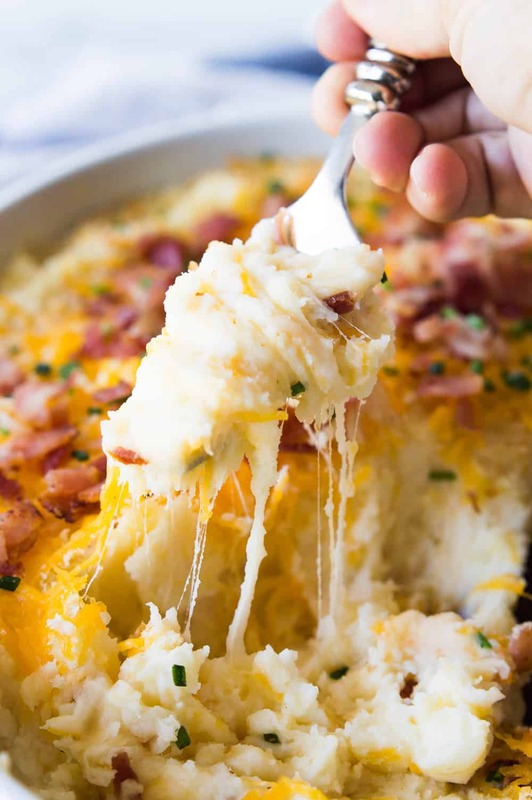 Something about the white American cheese just makes this dish. If you’re thinking that you’ve never seen a white American cheese, I always get it from the deli counter in the local markets. The best part about this dish is the jalapeño of course. I’m a huge fan of a little spice. But to be honest some of my kids aren’t. 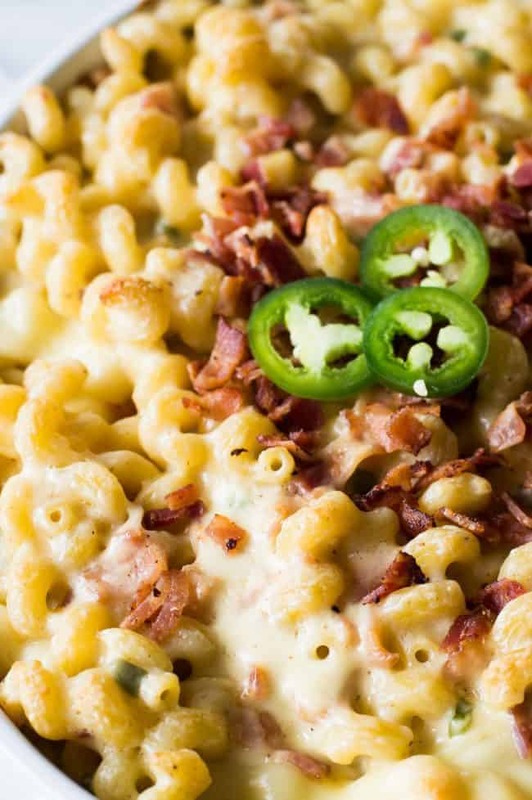 Good news though, even those who aren’t fans of spice love this Jalapeño Popper Macaroni and Cheese! I removed all the membranes and seeds from the jalapeño, if you’re wanting more of a kick you can always leave the seeds in, or add more jalapeño. 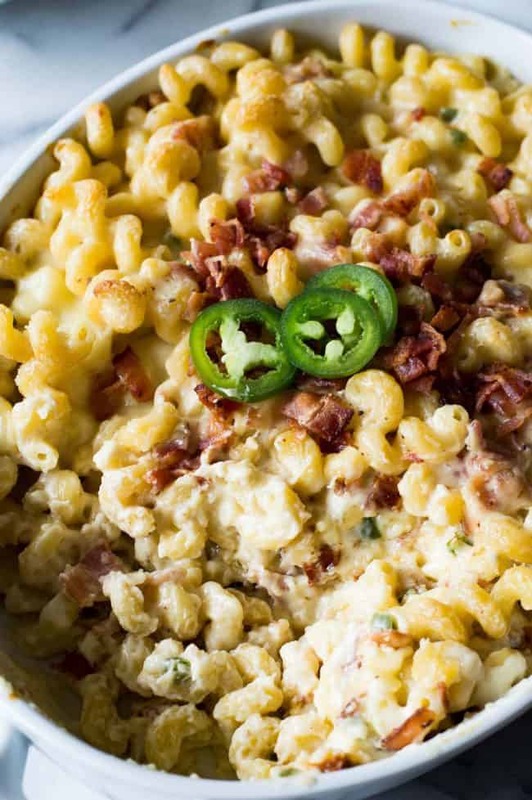 The hubs and I always make a macaroni and cheese as a side dish for Thanksgiving. And I have to say, I think this one is going to make an appearance on our table this year! In a medium size pot add the pasta and water to cook in, cook according to directions on pasta. Remove from heat when the noodles are just before al dente (they will still have a slight bite to them). Drain noodles and set aside. In a large saucepan melt the butter. Add the diced jalapeño and allow to cook for about a minute. Add in the flour and stir to combine. Will be a thick paste. Cook for about 2-3 minutes until the flour mixture starts to turn slightly brown. 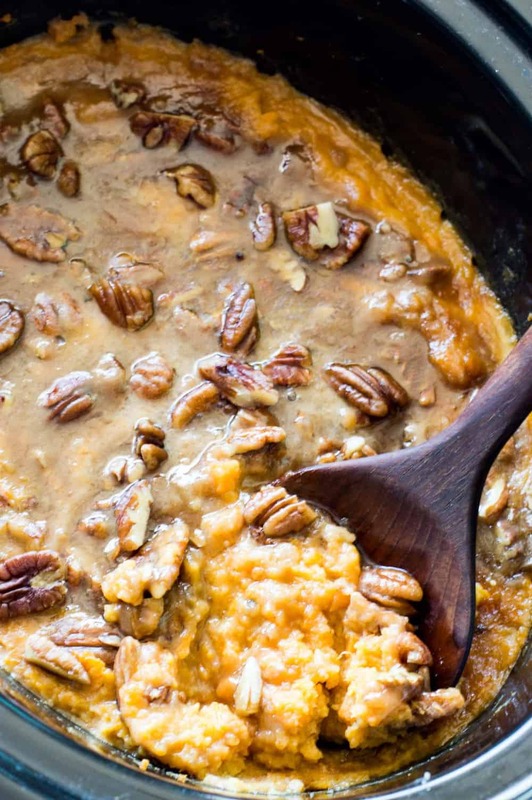 Pour in the milk and heavy cream. Whisk to combine. Allow to simmer for about 3 minutes to thicken. Add in the cream cheese and stir until cream cheese is melted and smooth. Add in the diced white american cheese. 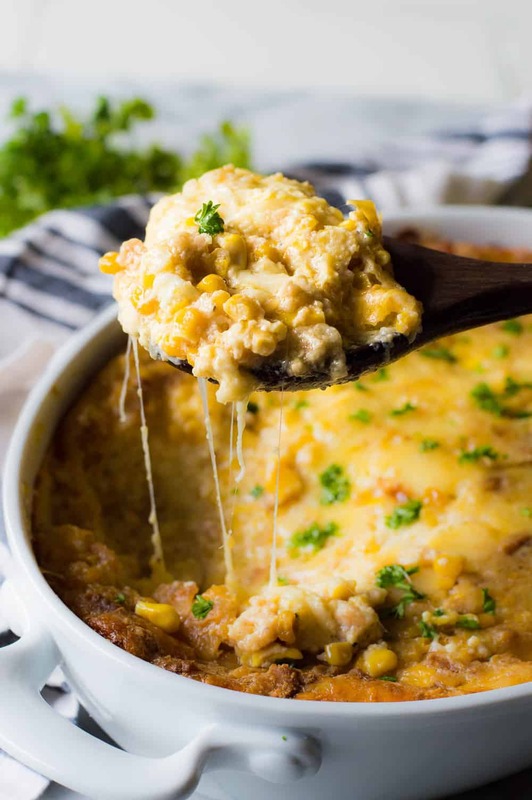 Stir while the cheese melts. Add in the seasonings and stir. Cook sauce until is creamy and smooth and all cheese is melted. Pour the noodles into the cheese sauce. Stir to combine. Fold in the diced bacon. Pour half of the noodles into a 2 quart baking dish. Layer the remaining white american cheese. Then top with the remaining noodles. Bake uncovered for about 15 minutes. This was amazing! I took it to a church function and everyone loved it. It is definitely a keeper!